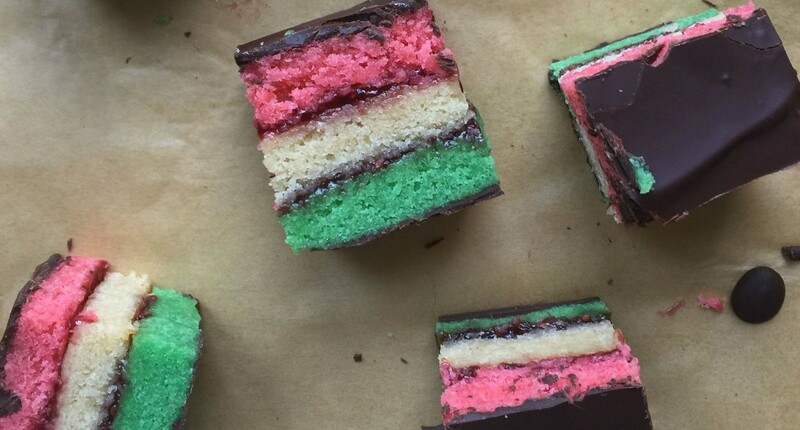 The Nosher via JTA — I love rainbow cookies. Love. And they are a serious obsession for my entire family. 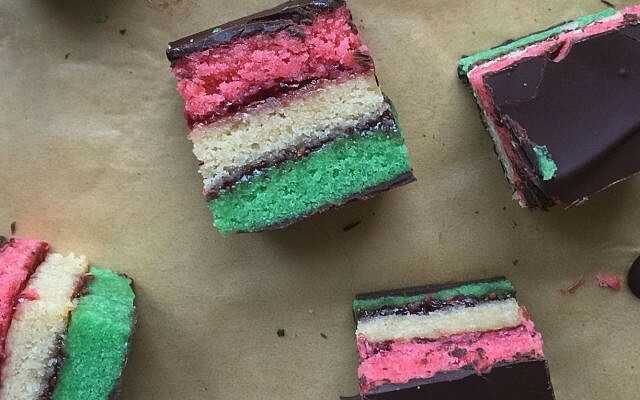 So when I made this recipe Passover-friendly last year, it was a wonderful, delicious game-changer for our Passover celebrations. To make this recipe non-dairy, simply replace the 1/2 cup butter with 1/2 cup non-dairy shortening or margarine.